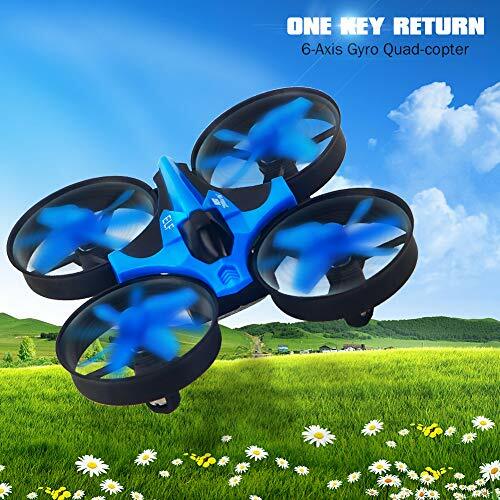 ?Why buy a mini drone? 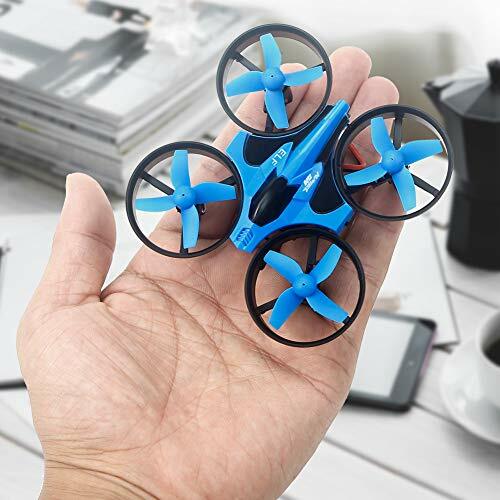 ?Small drones are the perfect way for novices to build their piloting skills. The ease of handling and practical flight time provides beginners with great practice sessions. This small size also means that they can be flown indoors and perform those delicate maneuvers that aren't possible with larger aircraft. 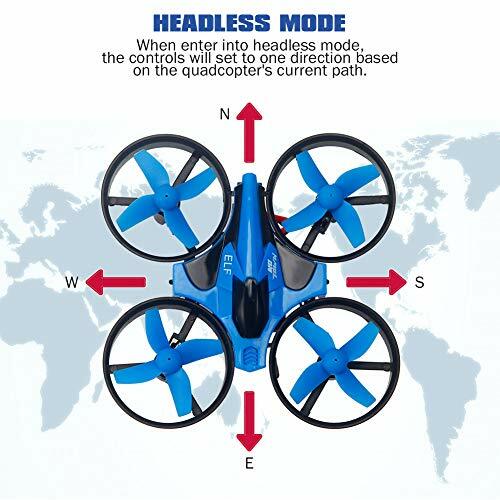 ?Headless Mode?When you go forward in the beginning, your drone will go forward when you press forward with the remote. 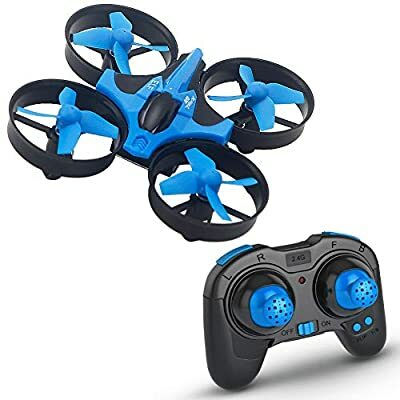 Even if you cannot see which direction the drone is heading, the direction will be the same as your remote controller. 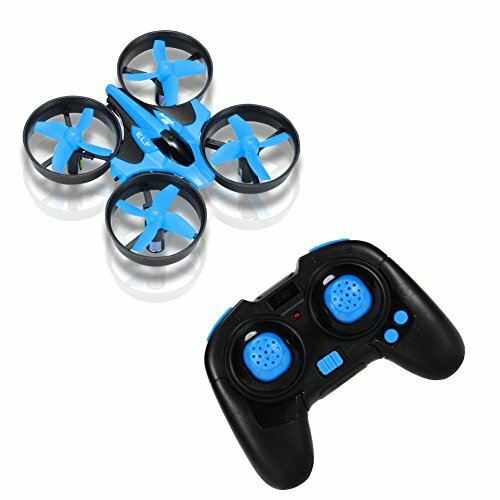 Enable any level of players to fly the drone easily. ?3D Flips Mode?The simple flying of WSAD is to boring, and the new 3D rolling special effects surprise all the people. 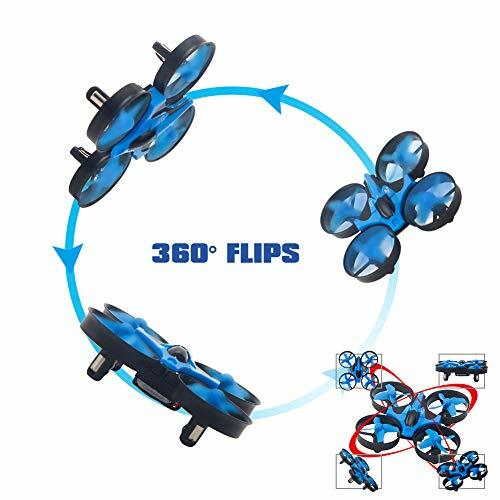 Just press the button on transmitter, and you get 360-degrees Flip, continuous roll for perfect action and wonderful performance. ?One-Key Return?With built-in positioning system, the drone can auto locate the remote control, just press the one key return button, the drone will fly back to the remote control's location. ?Warm Reminders?Flying time: 5-8 mins; Charging time: 30-50 mins; Effective Operating Range: about 100 ft(30m). 30 days Money Back and 24 hours friendly Coustomer Service!